Thursday, November 12th from 7:15 – 9:00 p.m.
An audio recording of the lecture is now available here, beginning with Joe Cambray's introduction. The post-modern condition is characterized by a multitude of perspectives and narratives, challenging the view and the value of central, universal truths. The changes generated by this existential condition affect the individual as well as society, the experience of interiority as well as the perception of external reality. 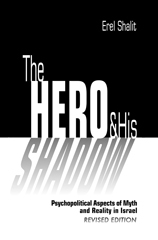 In cyberspace, the internal and the external sometimes converge, persona and shadow may merge, and the ego's sense of identity may become detached from its roots in the Self. The lecture will present these developments, including the Transient Personality, who traverses time, space, narratives and a plenitude of faces at great ease, but does not stay in one place either in external reality, or within him- or herself. 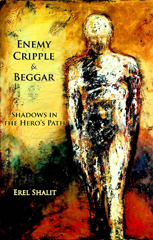 Dr. Erel Shalit is a Jungian psychoanalyst in Tel Aviv. He is a past President of the Israel Society of Analytical Psychology, founding Director of the Jungian Analytical Psychotherapy Program at Bar Ilan University, and past Director of the Shamai Davidson Community Mental Health Clinic, at the Shalvata Psychiatric Centre in Israel. 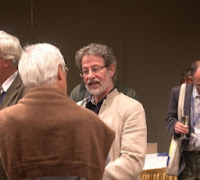 He is the author of several books, among them The Cycle of Life: Themes and Tales of the Journey; Enemy, Cripple & Beggar: Shadows in the Hero’s Path; The Complex: Path of Transformation from Archetype to Ego; The Hero and His Shadow: Psychopolitical Aspects of Myth and Reality in Israel, and the novella Requiem: A Tale of Exile and Return; and with Nancy Swift Furlotti, he has edited The Dream and its Amplification. 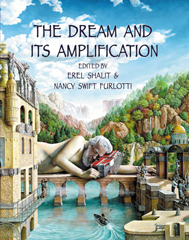 Dr. Erel Shalit is also the editor of Jacob and Esau: On the Collective Symbolism of the Brother Motif, a previously unpublished book by Erich Neumann, and Turbulent Times, Creative Minds - Erich Neumann and C.G. 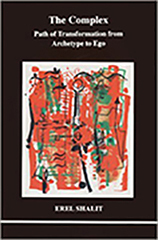 Jung in Relationship, co-edited with Murray Stein, as well as the author of a forthcoming book on The Human Soul in Transition, at the Dawn of a New Era. Last spring Dr. Shalit chaired the Jung-Neumann Conference, April 24-26, 2015 in kibbutz Shefayim, Israel.